We pride in being a premier company that offers expert service on 24X7 basis and we give 100% satisfaction guarantee to all customers. The core professional activities of Vanish Cleaning Services Brisbane revolves around cleaning, servicing and repairing of your duct systems done at the lowest rates chargeable in Brisbane and its environs. At Vanish Cleaning Services Brisbane will provide expert air conditioning specialists who will do entire Evaporative duct cleaning with any other Duct repairs besides doing Ducted heating as well as cooling maintenance. Vanish Cleaning Services Brisbane is known for effective same day Air duct cleaning and also repair for all your Ducted heating cleaning related needs in Brisbane. In this third step, Vanish Cleaning Services Brisbane will effectively carry out comprehensive air duct cleaning of whole unit and handle all the concerns identified in pre-analysis. Vanish Cleaning Services Brisbane certified cleaners will remove all rodents found in your system, which got into the unit as a result of the much prevalent animal intrusion problem. In this final stage, Vanish Cleaning Services Brisbane will conclude by generating a more comprehensive report regarding the air duct cleaning prior to invoicing you as per the scope of expert services fully rendered to you on same day. At Vanish Cleaning Services Brisbane we have a wide range of numerous consumers consisting of domestic and also commercial customers who come from estate agencies, insurance companies and warehouses. As a rule, 100% customer satisfaction passionately steers us into delivering same day expert services done on 24 X 7 basis. Vanish Cleaning Services Brisbane team constitutes of a highly trained professionals with the needed experience as certified upholstery cleaners from Brisbane. Vanish Cleaning Services Brisbane provides 100% satisfaction guarantee making us a cleaner of choice to our respected customers. 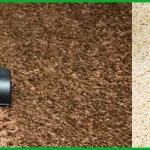 Dont hesitate, just come to Vanish Cleaning Services Brisbane for reliable same day expert service in upholstery cleaning, call for free quotation.